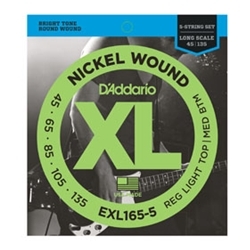 EXL165-5 is the 5-string version of the most popular D’Addario hybrid bass set which combines the high strings from an EXL170 (.45 and .60) with the low strings from an EXL160 (.85 and .105). With the addition of the .135 Low B string, this set is optimal for players looking for the ideal combination of comfortable playing tension, clear fundamentals and booming, tight lows. 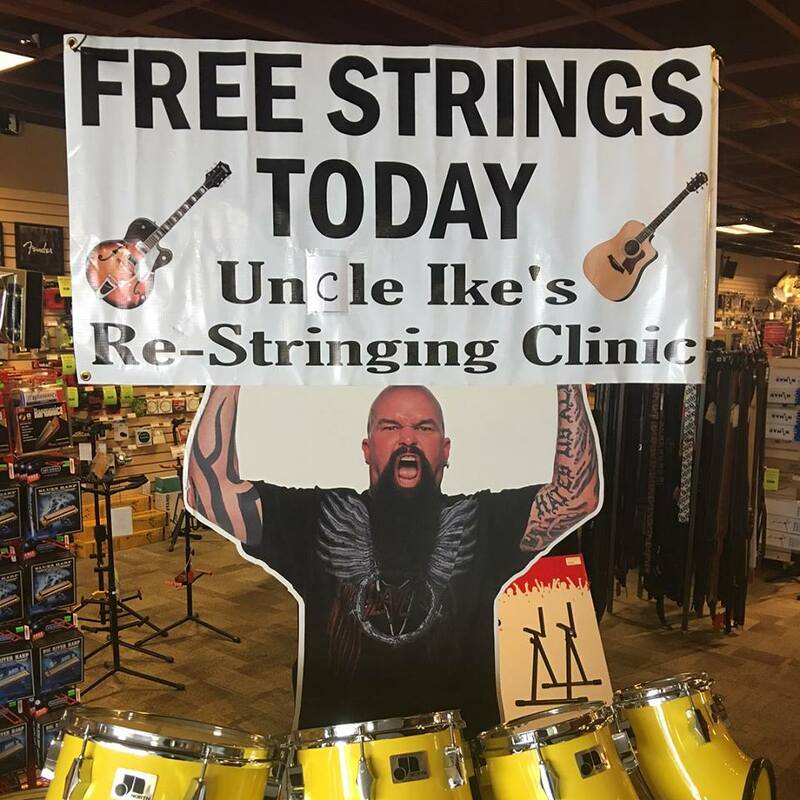 These strings are designed for long scale basses (34”+) and have a taper at 36 – 7/8”.